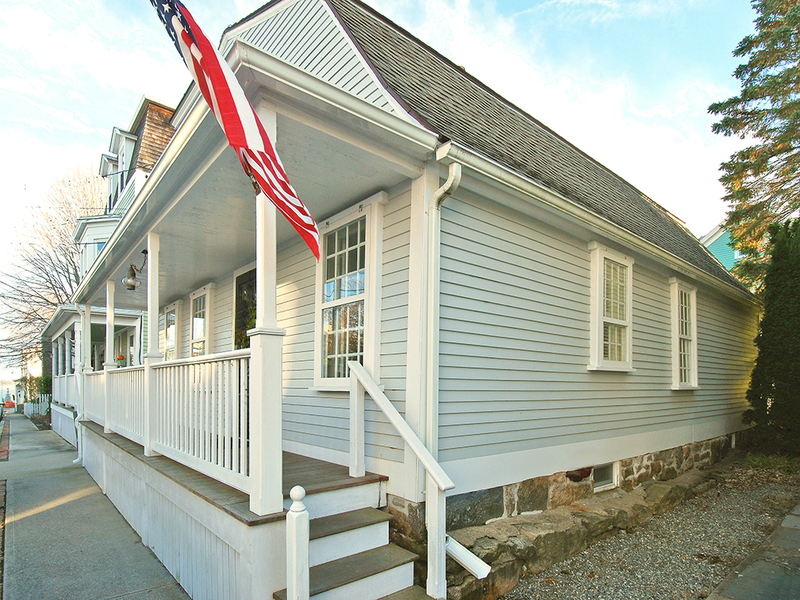 Set on a quiet side street in picturesque Stonington Village, this beautifully restored gambrel-roofed cape is located within easy walking distance to the harbor and DuBois Beach, as well as many fine restaurants and shops. 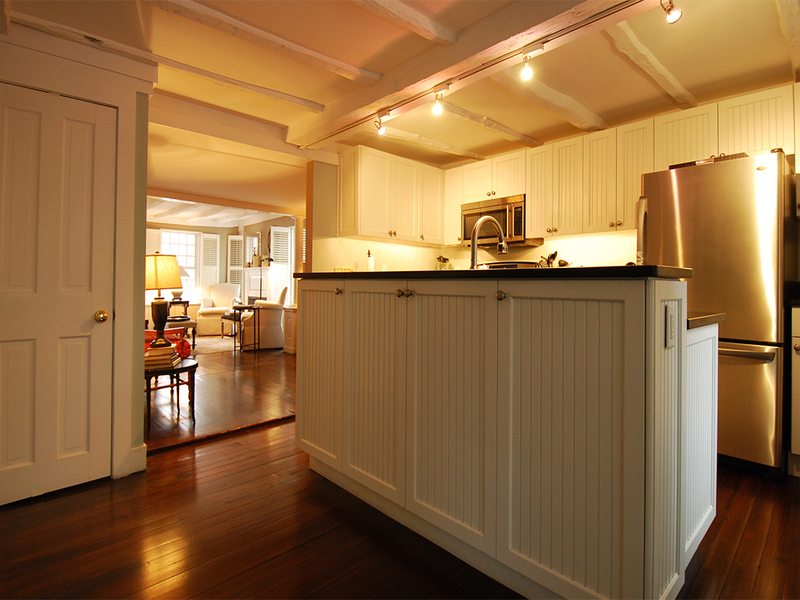 This charming 1,650 sq. 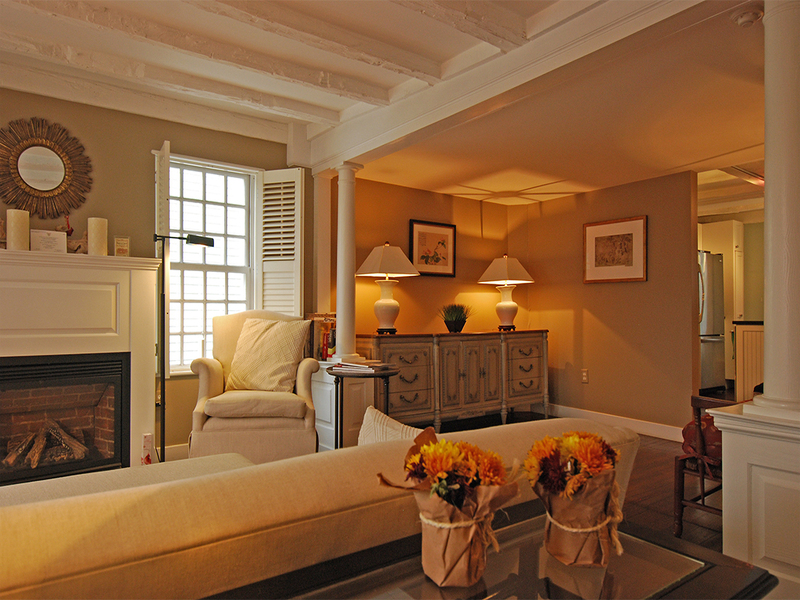 ft. plus home was built in 1750 and underwent a substantial renovation that resulted in a spacious open floor plan. The first floor has a living room with a gas fireplace, dining room, first floor bedroom and full bathroom, family room and a newly renovated kitchen with stainless steel appliance and custom cabinets. French doors line the rear wall of the home and overlook a sunny, private garden and patio. 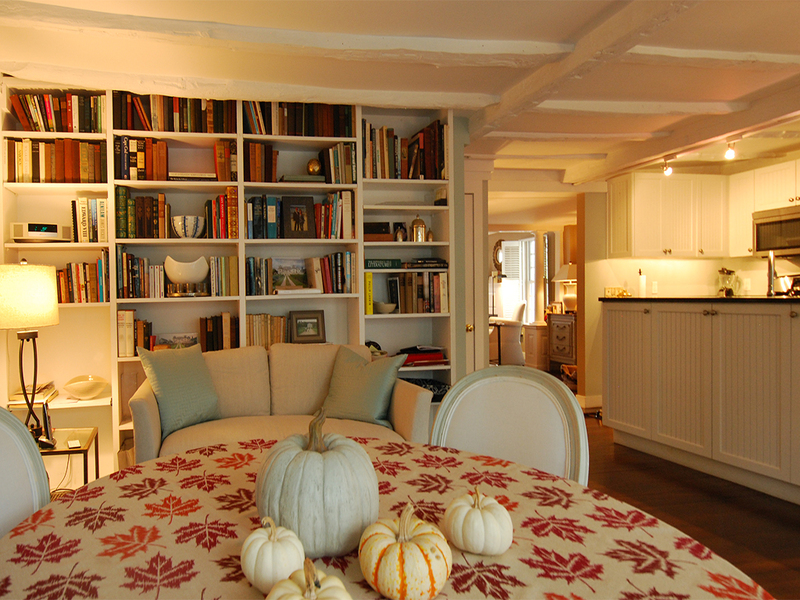 The second floor has a handsome, large bedroom and full bath, as well as a study lined with floor to ceiling book shelves, that could easily be converted into a third bedroom.